8. What is the value in legal? 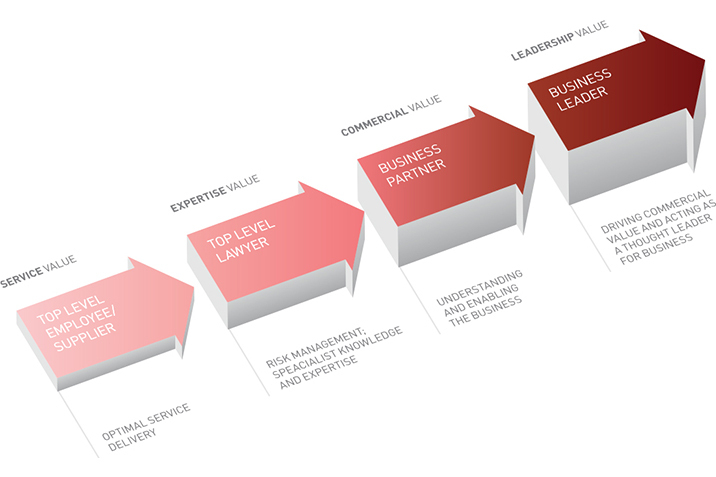 In 2008, RSG worked with a forum of general counsel to define value in legal services. Coming out of an intensive research project, value was designated into four buckets. Today, the value chain still has currency as a way in which to define and measure value. It works for both in-house lawyers and private practice. It is a useful way for lawyers’ to self-assess their work and for clients to frame their feedback.